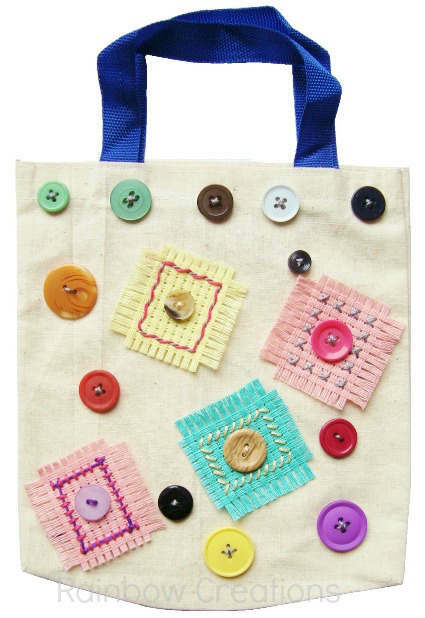 Children's complete sewing activity including a bag which can be sewn and decorated to make into their very own sewing bag. 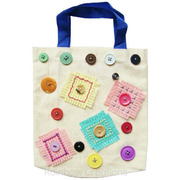 The canvas bag is pre sewn, with handles in place, ready to be decorated with the buttons and block weave canvas provided. 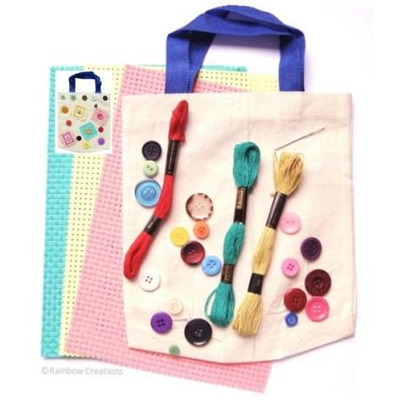 Sufficient coloured canvas for children to also sew a book mark, mat or a purse using the thread provided to embroider with. This aim of this creative sewing activity is that what is created will be unique and personal to themselves.